One’s journey might begin by envisioning an industry you want to work in or adopt as your role model. To learn more, ask for an information interview. Treat it like a job interview. Gain a business connection from it. Get noticed by initiating ‘a first’, filling a deficiency and respecting connections. Along the way gain a body of knowledge and show authenticity while you plot a 3-year plan. As you gather momentum you will encounter conflict, friction, dead ends and deadwood. Anticipate these but keep focused on your 3-year plan. Build partnerships, credit others (blame yourself), pick great successors and remember to nurture talent. Your accumulated effort pushed in a consistent direction will convert inertia to momentum. Thanks to Jimmy Zimmerman for conceiving Good to Great animation, and thanks to Jim Collins for verbalizing the flywheel concept. Project managers verbalize the big picture in a project plan. This high-level document covers the scope and requirements. Alone it doesn’t answer all questions so the plan is complemented by subsidiary plans. Project teams manage their work through a set of formal planning documents. They cover details about department functions. Scheduling, staffing, cost, quality, risk, acceptance and communications functions are created as subsidiary plans. 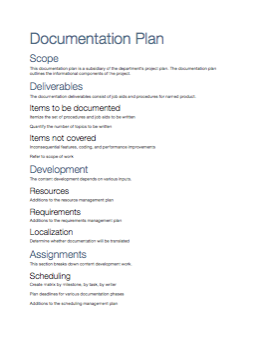 I recall only a few times in the last decade when a project required a documentation plan. Depending on whether technical documentation falls under marketing or R&D will determine who manages documentation planning. It must have been twenty years ago when Larry Ellison fascinated me with the idea of diskless desktop computers. The benefit as I saw it was that some grandmaster App would keep the department’s word processing installations up to date. Eventually, maintaining software as a service became its own product. Known as SaaS the service is enabled through cloud computing. Other service models include infrastructure as a service (IaaS) and platform as a service (PaaS). These services make up about a third of cloud computing activities. File sharing accounts for another third. By offloading IT involvement, users stay focused on work. It can be argued that universally accessible tools and services promote a strong collaborative culture. Informal results from a session on documentation collaboration. Hello, my name is Spring! I’ve resurfaced, finally, after completing a long contract. Now there are IOU lunches to plan and vacation photos to edit, and after criss-crossing Canada, it’s a must-do to get back into the swing of professional development. They say to carry a pocketful of business cards and memorize your elevator pitch. You just never know what can become of a networking opportunity. This week I scored four professional events happening in downtown Vancouver. It’s always instructive to observe, even better to hone the pitch, and totally awesome when your card is pulled for a door prize. The process map is an information type in the Information Mapping Method. Similarly, SIPOC is a tool from the Define and Measure phases of a Six Sigma project. SIPOC takes its name from Suppliers, Inputs, Process, Outputs, and Customers. These segments in the process map define where a process starts and ends. Here I’m going to show how the SIPOC tool is used to write process documentation. This is a quick exercise that serves process improvement. ID the process. Name the key point. What does it do? What is its purpose? ID the outputs. What happens, whether desirable or not. What are the deliverables, outcomes, and results. ID the customers. Who becomes the recipient? Think ‘voice of the customer’ and whether the customer is internal or external. ID the inputs. What series of events causes or triggers a process? Are they manual? Automatic? ID the suppliers. Who provides the resources? People? Systems? Hold a piece of paper horizontally and fold it in fives. From left to right title each folded column, one letter per column, S-I-P-O-C.
Then working in reverse from right to left identify the Suppliers, Inputs, Process, Outputs, and Customers. If fonts were cars, the Arial Light would be fitting for night driving. I imagine it having a softly illuminated dashboard and headlight-cancelling rearview mirrors. Reading too should offer the same adaptations–flick a few switches to give us the best fonts in pleasing shades so we don’t ruin our eyes. Twelve-point Comic Sans MS, if it’s not banned outright the silly font just might be critical to learning. A psychologist at Princeton University found that the harder a font’s readability, the better the recall. A block of text set with 50% leading is easier to read than text having no line space where ascenders and descenders touch. The point size can be used as a unit of measuring type and line space. For regular newspaper and book text, 8pt to 12pt usually satisfies. Economist article, Learning Difficulties: Making something hard to read means it is more likely to be remembered. My mother remembered birthdays without fail. She’d pre-write cards for all December-borns, penciling the recipient’s DOB in the postage stamp corner. Three to four days later a Hallmark greeting arrived like clockwork. Given the scale of mom’s birthday card sending, a request for backup was reasonable at Christmastime. Dad enlisted to sign cards going to his brothers and sisters. My father adopted a penmanship habit that resembled stretching before a run. He limbered up with a few air pen swirls, then pen on paper swirls. He completed the first card from our family to his eldest sister’s family. When mom read the closing, well, I wasn’t sure if she’d throttle him or crack up laughing. It read Mr. & Mrs. John DiStefano. Not the formality you’d expect from a sibling everyone called Johnny. Mom was not one to waste anything but a ruined greeting card was about as bad as a forgotten one. Today, we paused to remember those who served. My father who served in WWII called it Armistice Day long after the US renamed it Veterans Day. He’d fasten the poppy’s wire stem through a buttonhole. By December the poppy hung like mistletoe from the Ford’s rear view mirror. Nations render their own design of the poppy pin. At last week’s meeting on the European debt crisis, we saw leafed and non-leafed variations adorn lapels of heads of state. 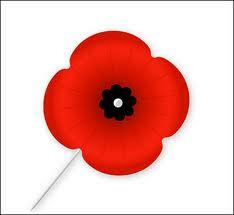 Remembrance Day, has now passed. Yet we vow to never forget. Surveys are meant for collecting data. The analysis says how one measures up to other survey takers. But sometimes the data is useless. A simple error in survey design proves why. 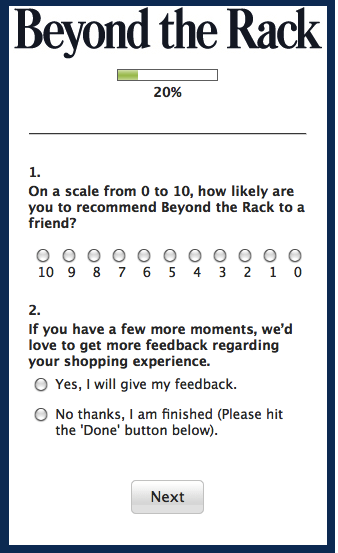 If you’re a customer responding to a satisfaction survey, you’d assume “1” to be low on a scale of 1 to 10. The question goes something like this; How satisfied are you with your purchase? Very satisfied? Somewhat satisfied? Not at all satisfied? Phrased another way, on a scale of 1 to 3 where 1 means not satisfied and 3 means very satisfied, how satisfied are you with your purchase? In this survey, the only sure rating is “5”. We would value your opinion if we hadn’t redesigned the rating system. My identity blurred the day I become chapter president and employed. Leaving only pockets of time to savor summer, I relished one late afternoon, on a rooftop patio, sipping coffee and being interviewed about work. STC Canada West Coast recently launched a service that connects senior technical writers with people exploring a tech writing career. The idea flowed from a planning chautauqua. Thirty days later, a big idea became a new service. The information interview was born and already had a waiting list. Part bedside manner, part job shadow, the information interview aims to entice students and job seekers to join professional associations. The interviewer gets questions answered and receives free admission to a professional program in exchange for a donation to the local chapter. Ostensibly, the interviewer gets a glimpse of a day in the life of a tech writer. As it turns out, this form of coffee break may yield fruit. Learn more about the Information Interview Service.